Rejuvenating set from Professional Skin Care Formula. It has been years since I have last used their product. I remember being so adventurous on using skin care products back then. I've tried Beauche, local obagi sets etc then now its Professional Skin Care Formula Rejuvenating Set. All facial sets have one similar effect though and its to micropeel. My mom has been bugging me to buy a set beauty set from Professional Skin Care formula since she often watch Kabuhayang Swak na Swak and this brand is almost always featured. Just like other rejuvenating sets I've seen online, this set consists of kojic acid soap, rejuvenating toner, 4 in 1 bleaching cream and sunblock cream. It is highly recommended to only use the product for not more than 30 days. The set comes with a cute transparent pouch and the instruction. 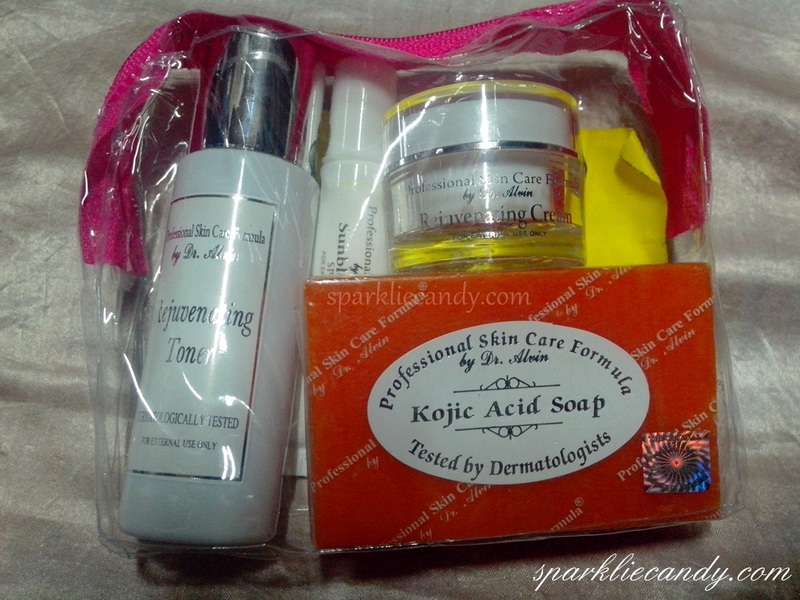 On my first night, I used the kojic acid soap and I did not felt it sting (at least not yet). The rejuvenating toner cleanses extra makeup left from washing. The bleaching cream is not at all sticky and is absorbed quickly by the skin. The products are all unscented, thumbs up! I will be posting a full review once I finish the period of usage recommended for the set. See you on my next post! My favorite song for the week. Fuu~ lemme breathe Girls Day is so beautiful in this music video. Girls Day FTW! Hey, do you think it's alright to apply garnier bb cream (bought it from the sunscreen section) during my 2nd week? I don't want to go somewhere with a bare face. Besides it's only for a couple hours. Any update after using rejuv set? Hi po. First time user here.. First day of use, my face starting to have some allergic reaction until nangati at namaga.. Orig naman yung nabili ko. Discontinue muna.. Nakakapanghinayang..
hi,,, ask lang po, un bang rejuvenating toner pwede ulit gamintin as cleanser after gumamit ng maintenance set? ask ko lang how many days mawala ung peeling effect...im about to start my new job.. little worried with the peeling effect. sis? ok lang ba kung mag apply ka ng rejuvinating kahit marami kang pimples? Hi 1st time q po ganitin ung rejuvinating set kaso effect po nia nangati at namaga po anu dpat po gwin tnx..
pede ba gumagamit ng foundation habang gumagamit ng rjuvinating. Hi chien, im wondering what is the maintenance set you are saying, is it also a set from dr. alvin's or it can be any brand we usually use? Great review. I would love to use these products. For rejuvenation of my skin I have started using anti aging cream by lifecell and it has amazing results.